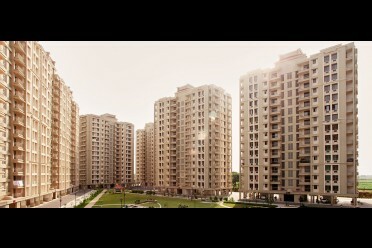 Vadodara is Gujarat’s third-largest city and a preferred emerging realty destination after Ahmedabad and Surat. The realty market of the city is on an upswing because of the huge growth of the industrial sector and the overall high rate of development, both in commercial and residential terms. Further, being the cultural hub of the state and a great educational centre, it attracts the best youth talent from all over India. Besides, the city is well-connected with both Mumbai and Delhi by air, rail, and road. These favourable factors naturally make Vadodara a highly desirable residential destination. With its cosmopolitan feel and amalgamation of cultures, it appears to be an ideal city to settle down. With Barodians looking ardently for their dream homes, they are not leaving any stone unturned while researching and house hunting as buying a home is considered to be one of the biggest decisions taken during anyone’s lifetime. 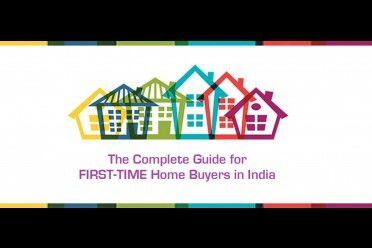 For all such Barodians, here is a comprehensive buyer’s guide to ease their life. Select the right builder: After identifying the location, the first step towards buying a home is selecting the right builder. Homebuyers need to find answers to all the questions like for how long the developer has been in business, how many projects he has delivered till now, were they finished on time, was there any delay (if yes, then what were the reasons), how many projects are pending and the like. Doing a background checks and finding about the financial health of the builder is a must. Homebuyers should also look at the quality of the projects of the builders. Generally, national level developers with their vast exposure bring in more quality, credibility, and transparency. So, if possible, prefer projects of the experienced developers as the chances of risk or delay is less with them. Get the title clearance: It is necessary because if the title of the property is not clear, then it may cause a problem at the time of getting a bank loan. This problem may not arise while choosing the projects of the national level developers as they start with their projects only when everything is in place legally. Get clarity on the actual size of the flat/bungalow: There are three units of the size of the property i.e., carpet area, built-up area and super built-up area. This is a very important matter and homebuyers should check with the developer on this front. Many times, unprofessional or scrupulous builder dupe customers by charging for more area than what they are giving. This might happen with the inexperienced developers, but not with the experienced developers as they are very clear in their plans and policies. Read the timely possession clause: In the present times, when many projects are being delayed, it is very necessary for the homebuyers to check this clause. Also, they should ask the builders about what will happen if the possession is not given on time. Here, it should be noted that good and quality developers will always try to adhere to the timelines as this might affect their credibility in other markets. Check the construction and quality: It is necessary for the homebuyers to look into the construction quality of the project. For that, homebuyers should ask the builders about their last few projects and check whether there are problems pertaining to leakage, cracks, paint or lift in those projects. Homebuyers should also study the sample flat carefully as that can be a good indicator of general quality, space usage, flooring material, etc. In case of national level developers, homebuyers can relax about the quality and technique as these developers are known for their quality work only and can ask good vendors from all over the country to deliver the best of raw materials at the job site. Check the facilities offered: At the time of buying the house, homebuyers should also check on the facilities and amenities offered, advertised or promised. Homebuyers need to ask the builders about how much time will they take to provide such facilities as many builders get busy selling the flats and leave the development of the facilities for much later, which in most cases is forgotten only. Here, comes the benefit of choosing national level developers. Since they are operating nationally, they have all the required funds and expertise to keep up with their promises. Further, due to their vast exposure, they are expected to bring in more quality, better amenities and new facilities which might be unheard of in that region. Maintenance matters! : Last but not the least, it is also important for the homebuyers to enquire about the maintenance aspect of the project. Rarely, builders provide maintenance facilities, however, this is not the case with the national level developers like Ashiana Housing Ltd. In fact, this real estate company has a dedicated care department for maintenance of its projects. This department looks after cleanliness and hygiene, water management, electrical management, security and safety, civil/general upkeep and various other needs and queries of the residents. This department of the company also helps the residents in resale and giving the flats on rent. Hence, homebuyers can opt for such builders and their projects. Apart from the above-mentioned benefits, choosing an experienced and national level developer would simply mean choosing a class over mass and quality over quantity. Further, experienced developers can bring new living experience and design instead of very local and common flavours at the doorstep of homebuyers. They also have the potential of bringing all the good things of a different location to homebuyer’s location. The experience developers are also known for their excellent construction technique and quality. Since they have project all across the country, they don’t take a chance by delivering sub-standard products as that may harm their brand. They also bring in lots of expertise, developed during their various past experiences. Further, homebuyers can be assured that these national level developers will leave no stone unturned to even give a boost to the local infrastructure by getting the necessary approvals from the government for the construction of roads, drainage system, and electricity connections as they know that a good project includes everything required to give quality life to the customers. A clear example of how a project of the national level developer can help in the growth the region can be seen in Halol, located on the outskirts of Vadodara. Earlier regarded as merely the industrial powerhouse with several multinational companies having their base here, today this area is developing as a promising real estate marketand thus, attracting many house hunters. 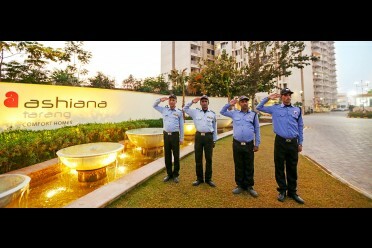 As a result, Ashiana Housing Ltd, a national level developer is coming up with its project in the region, which has modern facilities (as seen in posh properties of Tier-I cities) like clubhouse, swimming pool, children’s park, badminton court, CCTV, ample water supply etc., to offer to its customers. So, don’t you think Barodians that it is better to choose a developer who has the expertise and exposure to national markets and whose projects are best in terms of quality? Now, what are you waiting for? Refer to this buyer’s guide and get going!